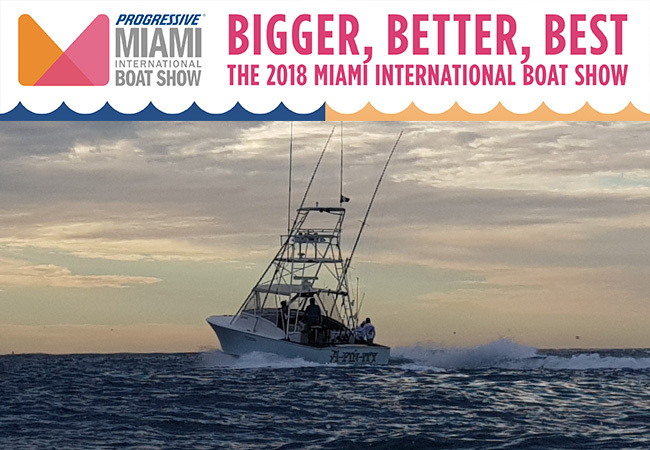 Our last Trade Show stop is tomorrow February 15- 19 at the 2018 Miami International Boat Show. Come and visit us at Tent D-316, next to Capt Harry’s Fishing Supply. Sign-up for show specials, and talk with our famed captains. See the usual suspects joining us below! Looking for plans for Memorial Day Weekend? We can offer warm sunshine, ice cold drinks, and an average of 12-15 sailfish raises per boat per day! During May and June you will also have more opportunites at a variety of species like yellow fin tuna and more blue marlin will be in the mix chasing the spawning mahi mahi! Our ocean tend to flatten out like a lake which makes it great for the whole family to enjoy. Stay tuned next newsletter for more information on the 2018 Father’s Day Fishing Frenzy! If you can’t wait send us an Email HERE for details! If you are tournament fishing this summer, we highly recommend you step up to bat at Casa Vieja Lodge. Put in some much-needed Spring Training and get back into the sportfishing game with daily multiple hook-ups you can practice on. There is no better training ground in the world! Secure your tournament investment and practice with the best! Leave the cooking and cleaning to us, and you simply concentrate on your angling skills. Corporate retreats can sometimes be well, a little boring. But not if you take your annual corporate retreat to Casa Vieja Lodge like Lipman Produce and The Michael’s Organization. With action packed fishing, fireworks, Antigua tours, and live music, well let’s just say you made need a vacation from your vacation! Employees tend to leave with a little more pep in their step and a heap of true fishing stories. “You caught how many?” said the doubters. 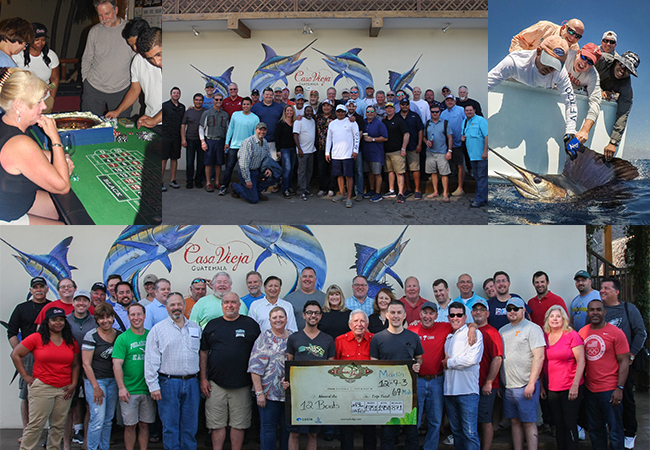 Fishing clubs from all over have decided to join in on the excitement and this year the Bonita Bay Fishing Club came to see what separates Casa Vieja from the pack. Casa Vieja Lodge caters to groups and can host up to 37 anglers, more with advance planning, and will work with you every step of the way. With ample opportunities out on the Pacific Ocean it makes our job easy to help you go catching instead of fishing. An average 20-mile run to the fishing grounds, our captains and crew work hard to find the fish and you simple need to catch them. Casa Vieja Lodge is a great place to introduce newbies to the sport, but be aware, this may spoil them for life. 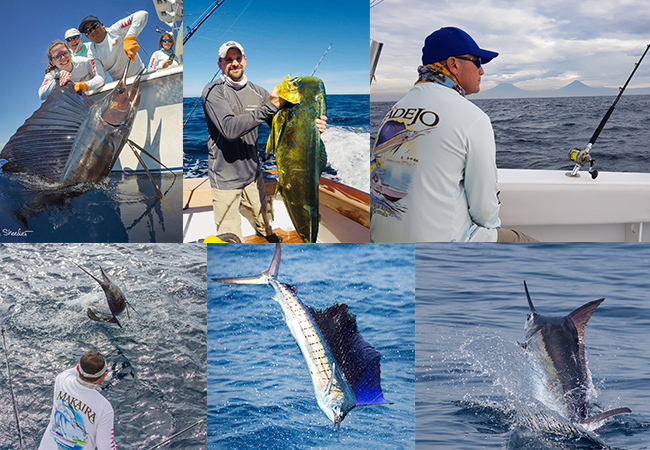 The last few days of January and start of February have been like the sailfish olympics, with quad and triple hook-ups, caught on fly, spinning, and conventional! 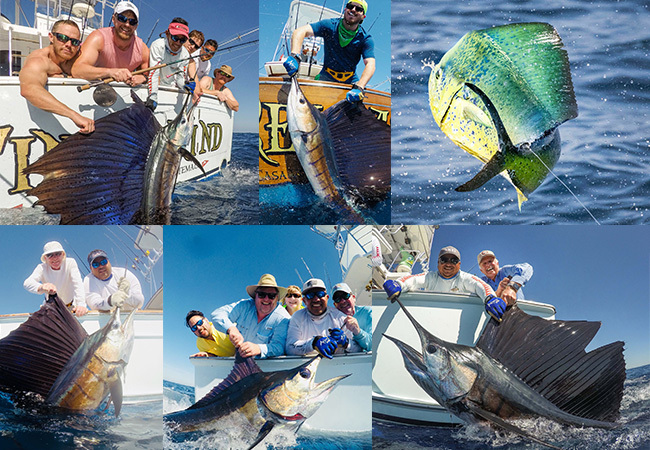 We’ve been waiting for the Guatemalan sailfish numbers to take gold once again, and anglers are having the time of their life! January 26th– February 13th, the Release (37′ Merritt) with Capt. Chico Alvarenga, had 610 raises, 523 bites, and 308 sailfish releases. They also had 8 marlin raises, 2 marlin bites, 1 marlin release, 5 tuna, & 17 mahi-mahi. January 27th– February 13th, the Finest Kind (40’ Whiticar) with Capt. 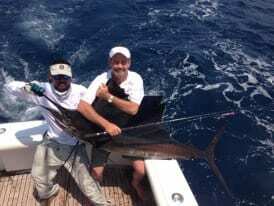 Chris Sheeder, had 573 raises, 491 bites, and 288 sailfish releases. They also had 3 marlin raises, 2 marlin bites, and 27 mahi-mahi! January 29th– February 13th, the Afinity (39’ Billy Knowles) with Capt. Nico Melendrez, had 415 raises, 330 bites, and 211 sailfish releases. They also had 1 marlin raise and 19 mahi-mahi! January 29th– February 13th, the Intensity (37′ Gamefisherman) with Capt. Mike Sheeder, had 501 raises, 393 bites, and 240 sailfish releases. They also had 20 mahi-mahi! January 29th-February 13th, the Makaira (37’ Rybovich) with Capt. Jason Brice, had 513 raises, 465 bites, and 300 sailfish releases. They also had 5 marlin raises, 4 marlin bites, 3 marlin releases, 4 tuna, and 48 mahi-mahi. January 29th– February 13th, the Poco Loco (44′ Kincheloe Nickerson) with Capt. David Salazar, had 375 raises, 313 bites, and 163 sailfish releases. They also had 1 marlin raise and 21 mahi-mahi. February 4th-13th , the El Cadejo (35′ Contender) with Capt. Efron Rizzo, had 251 raises, 209 bites, and 120 sailfish releases. They also had 3 marlin raises, 1 marlin bite, 1 marlin release, and 20 mahi-mahi! February 8th-13th, the Pez Raton (35′ Contender) with Capt. Franz Hoffman, had 159 raises, 101 bites, and 54 sailfish releases. They also had 2 marlin raises. PreviousPrevious post:Double-digit Raises AND Releases!NextNext post:Check Your Calendar, Is Casa Vieja Smiling Back at You?